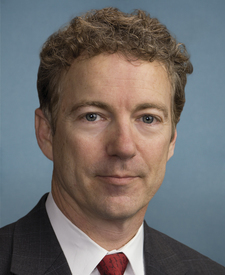 Compare the voting records of Bob Corker and Rand Paul in 2017-18. Represented Kentucky. This is his 7th year in the Senate. 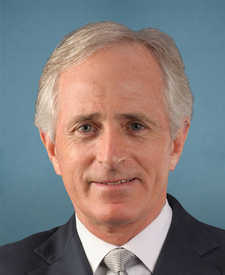 Bob Corker and Rand Paul are from the same party and agreed on 82 percent of votes in the 115th Congress (2017-18). But they didn't always agree. Out of 555 votes in the 115th Congress, they disagreed on 99 votes, including 14 major votes. Oct. 19, 2017 — A concurrent resolution establishing the congressional budget for the United States Government for fiscal year 2018 and setting forth the appropriate budgetary levels for fiscal years 2019 through 2027. Concurrent Resolution Agreed to by a margin of 2 votes. Jan. 12, 2017 — A concurrent resolution setting forth the congressional budget for the United States Government for fiscal year 2017 and setting forth the appropriate budgetary levels for fiscal years 2018 through 2026. Concurrent Resolution Agreed to by a margin of 3 votes. Jan. 4, 2017 — A concurrent resolution setting forth the congressional budget for the United States Government for fiscal year 2017 and setting forth the appropriate budgetary levels for fiscal years 2018 through 2026. June 13, 2018 — To require the authorization of appropriation of amounts for the development of new or modified nuclear weapons. Motion to Table Failed by a margin of 4 votes.